aha! Look what I found when I was reorganizing my yarn stash. 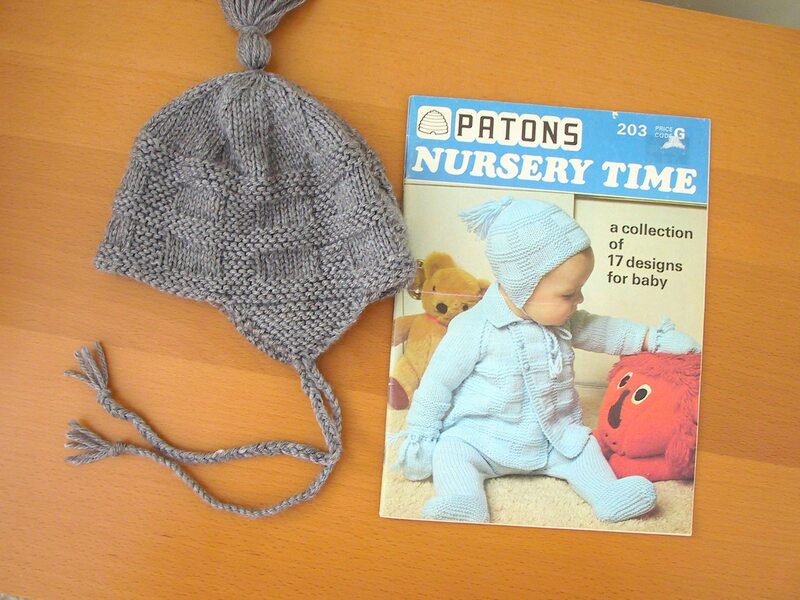 I knit this little helmet (as the pattern refers to it) from a vintage Patons magazine last Winter for Oscar. I wasn’t very pleased with it because it seemed so big and boxy and, well, helmet-y. But I wasn’t taking into account the fact that his head would grow! Now it fits perfectly and looks pretty darn cute. So I finished off the tassle and ties last night and voila, instant gratification. Ha! The addition of the tassle and ties really make this hat. I mean, it was cute before, but now it’s adorable! It’s all in the details. 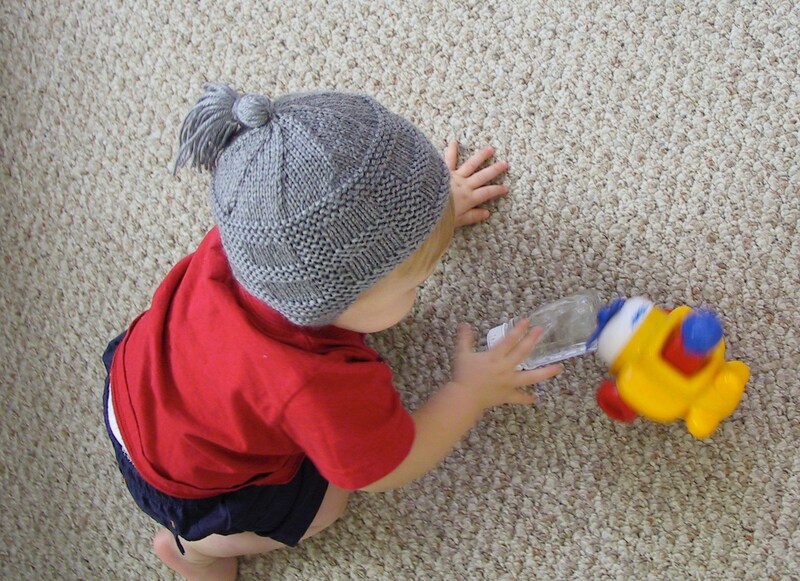 I can’t copy the pattern and send it to you.. taboo in the knitting world! But I am done with the booklet and it needs a good home. Email me your address and I’ll send it to you. What a gorgeous little hat! Do you still have this pattern and if so am I able to have a copy? If not, do you still have the details of pattern?